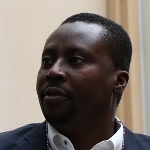 Franklin Oduro is Head of Research and Programs, and Deputy Director at the Ghana Center for Democratic Development (CDD-Ghana), a key partner within the ESID research consortium. Franklin is Lead Researcher on ESID’s education project in Ghana and the coordinator for all ESID research at CDD-Ghana. Franklin’s other research interests include democratic governance, public policy and public affairs management; human rights/transitional justice policy and administration processes; election administration, civil society and domestic election observation; African public administration and policymaking processes; and comparative national systems and development politics (Africa). Ampratwum, E., Awal, M. and Oduro, F. (2018). ‘Decentralisation and teacher accountability: How the political settlement shapes governance in the education sector at sub-national levels in Ghana‘. ESID Working Paper No. 102. Manchester. Oduro, F., Awal, M. and M. A. Ashon (2014). ‘A dynamic mapping of the political settlement in Ghana‘, ESID Working Paper No. 28. Manchester. Oduro, F. and R. Nagy (2014). ‘What’s in an idea? : Truth commission policy transfer in Ghana and Canada‘, Journal of Human Rights, 1(1): 85-102. Oduro, F. (2012). ‘Preventing electoral violence: Lessons from Ghana’. In D. Bekoe (ed. ), Voting in Fear: Electoral Violence in Sub-Saharan Africa. Washington DC: United States Institute of Peace. Oduro, F. (2012). ‘The Canadian Truth and Reconciliation Commission: Lessons from comparable Experiences in Nigeria and Ghana?’, Canadian Journal of Native Studies, 32(2): 103-120.